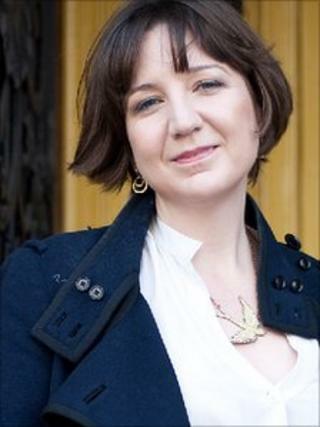 Josie Rourke has been named as the new artistic director of London's Donmar Warehouse theatre company. The 34-year-old will take up the position on 1 January 2012, taking over from Michael Grandage who is stepping down after a decade in the role. Rourke has been the artistic director at the Bush theatre in west London since 2007. She said she was "thrilled and honoured to have been asked" to lead the London company. The role sees Rourke return to the Donmar where she trained on its resident assistant director scheme in 2000, working alongside Michael Grandage, Nicholas Hytner, Phyllida Lloyd and Sam Mendes. "Nothing could make me more proud than to return to the place where I began," Rourke said. Josie Rourke's existing ties to the Donmar make her an obvious choice to succeed Michael Grandage. She inherits a theatre with a reputation that far exceeds its limited size. Nicole Kidman and Gwyneth Paltrow are among the Hollywood stars to have trod its boards, while Ewan McGregor, Jude Law and Kenneth Branagh have all appeared in Donmar productions staged at larger West End venues. Will Rourke be able to attract names as big as these during her tenure? That remains to be seen. But her four years at the Bush have brought in famous faces, including Joseph Fiennes and Ralf Little. Perhaps more significantly, her time at the west London venue has also seen her forge relationships with both established and emerging writing talent. If fresh plays are as important when she moves to the Donmar, that in itself could attract the star turns regular patrons have come to expect. "Both Michael Grandage and Sam Mendes have always been great friends and invaluable mentors. "When I take over as the Donmar's artistic director, I will inherit their legacy of 20 years of wonderful productions, extraordinary performances and great nights out at the theatre." Rourke added that she would continue to oversee the Bush theatre's move into its new home at the old Shepherd's Bush Library before joining the Donmar. Grandage said Rourke was an "inspired appointment". "She has been part of the Donmar's evolution since her first production as a director and will bring continuity as well a distinct style of her own," he said. Rourke recently directed her first production at the National theatre - Men Should Weep - and is soon to begin work on the West End production of Much Ado about Nothing starring Catherine Tate and David Tennant. Her other work includes Believe What You Will and King John for the Royal Shakespeare Company. She also taken part in the 24 Hour Plays initiative at the Old Vic theatre in London and in New York.